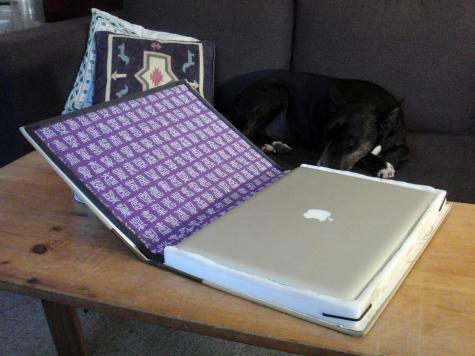 Alice made a sturdy and attractive case for her laptop using an old book and some Plastimake. She was kind enough to talk to us about how she made it so that we can share the details with you! The first challenge was finding a book larger than her 15" MacBook Pro. 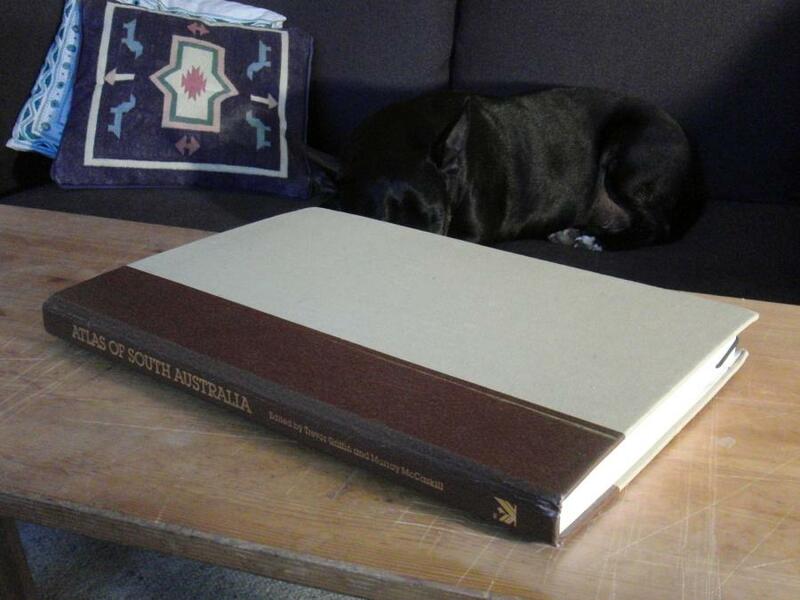 Alice scoured a few second-hand bookshops and ended up with a nice old South Australian Atlas. She removed all the pages from the book with a Stanley knife. 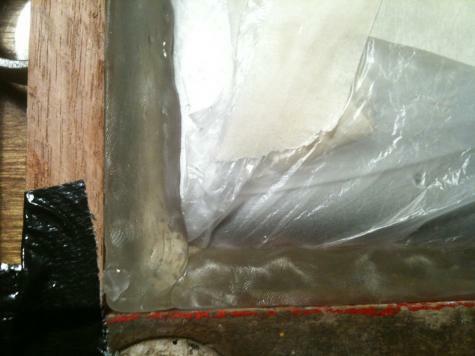 When making the first incision into an old book you might need to reassure yourself that the ends justify the means! Using Blu-Tack and a few pieces of wood, Alice created a temporary frame around the edge of the case for the Plastimake to mould against. 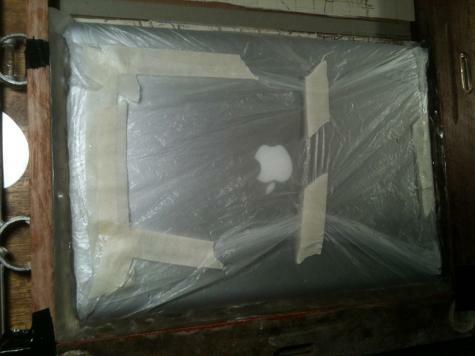 She wrapped a thin plastic bag around the laptop to ensure it didn't get any Plastimake in its ports. 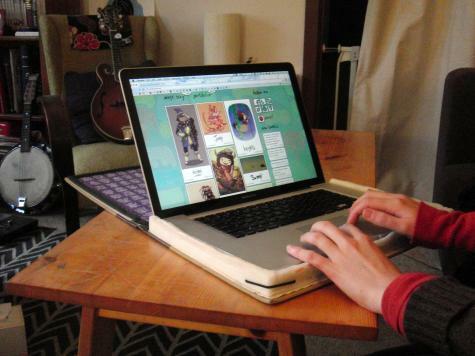 Alice then used her hands to form warm Plastimake in the gap between the laptop and the outer wooden frame. By forming the Plastimake directly around the laptop you guarantee a nice snug fit. Once the Plastimake had cooled, Alice glued it to the inside of the book cover with strong Araldite glue. She then added the finishing touches: a nice fabric backing with foam underlay, a couple of elastic clips to hold the lid closed, and a strip of adhesive-backed foam around the edges. 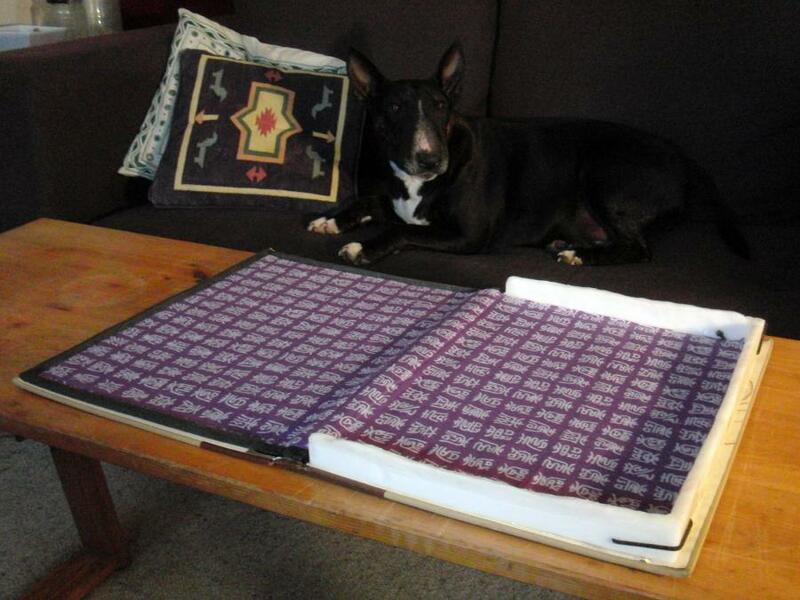 Alice has been using her laptop case for a while now, and has found that it consistently turns heads at client meetings!